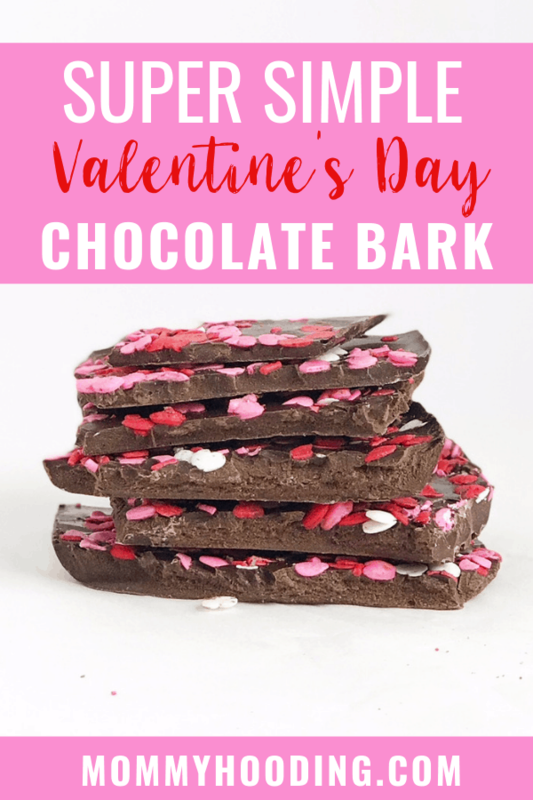 Chocolate bark is my go-to when I want to make someone a sweet treat as a gift. It’s super simple to make and there are so many different variations, so you can really make it your own. You’ll need 12 ounces of good quality chocolate. I prefer milk chocolate for this recipe, but you can go with dark or even white! Find yourself some Valentine’s Day sprinkles, like Wilton’s Heart Sprinkles. Melt chocolate in either a double boiler or in the microwave. If you using the microwave, heat in 30 second increments and stir each time. Be careful not to overheat. Place parchment paper on a baking sheet. Pour melted chocolate onto parchment paper and using a rubber spatula, spread chocolate evenly until it’s about 1/8 of an inch thick. Pour Valentine’s Day sprinkles on top of mixture and press down a bit. Cool in the refrigerator for 3 hours. Break into pieces and enjoy! 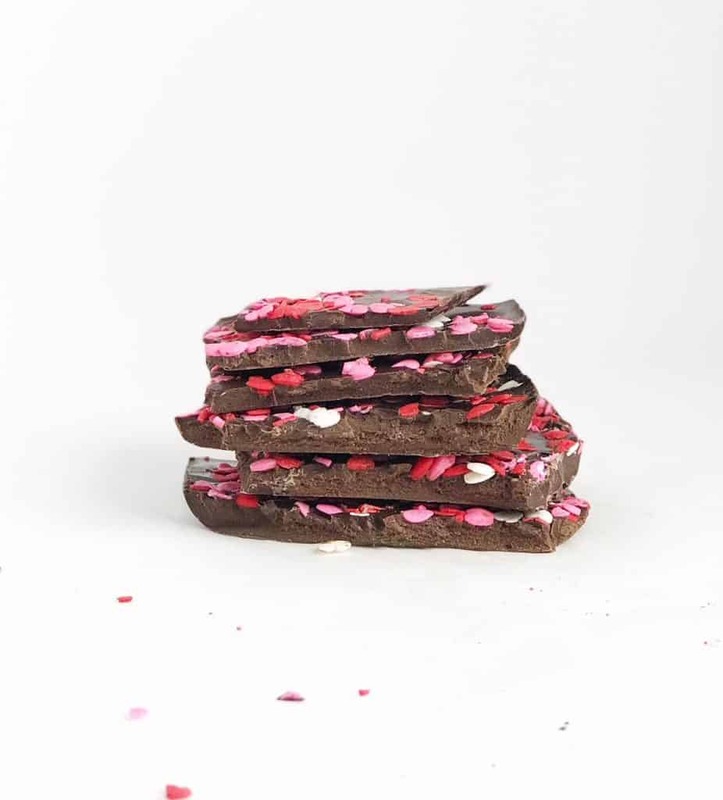 I love all the ways you can package chocolate bark as well. You can place bark into mason jars or a decorative box for a gift.